Louis XV serpentine painted commode with cabriole legs and bronze handles. Carved decoration and oak lined. 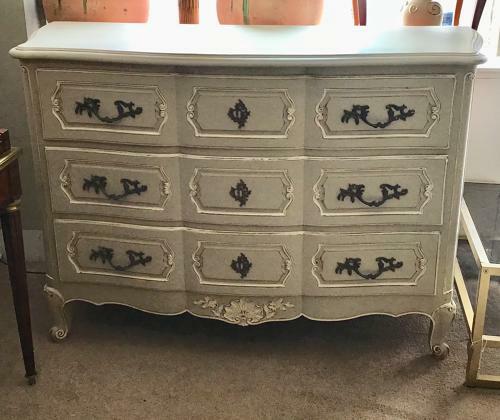 This commode has been restored and decorated in our workshop.